I first visited Chicago at the end of my U.S. road trip in 2006. I spent three days there before leaving to explore the rest of the world. I’d always heard a lot about Chicago and was excited to finally see the Windy City (named because of the politicians who blow hot air, not for the climate). After the local settlements were driven out in the war of 1812, the area was resettled in the 1830’s. Since then, Chicago has played an important role in the country’s history. 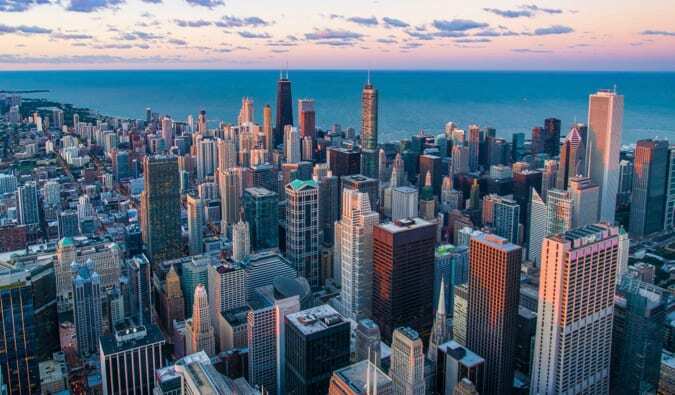 In 1840, Chicago was the 92nd most populous city in the United States, but it grew so rapidly that, 20 years later, it was the ninth-largest city in the country. By 1900, Chicago had 1.7 million residents. In 1871, most of the city burned down in the Great Chicago Fire. Over 300 people died, 18,000 buildings were destroyed, and a third of the city’s residents were left homeless. One of the factors contributing to the fire’s spread was the abundance of wooden buildings and narrow streets. The fire led to strict fire-safety codes that included a strong preference for masonry construction, which helped contribute to the architectural tradition that has emerged in the city. Today, Chicago is a cosmopolitan city. 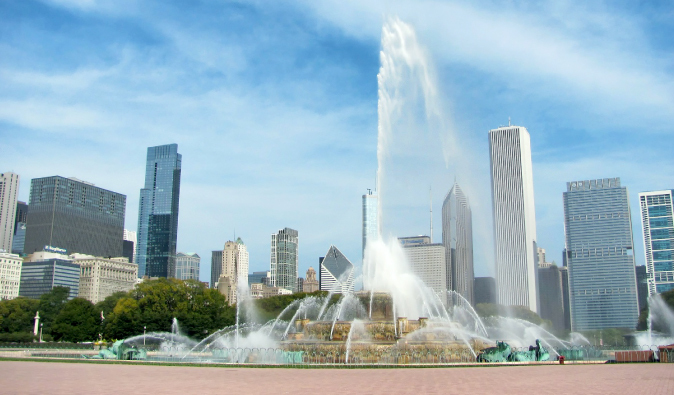 From food to parks to shopping, Chicago has it all. If you like to shop, there are the upscale stores along the Magnificent Mile, where you can buy from all the top designers. For architectural lovers, Chicago provides a plethora of buildings to see and examine. Chicago is filled with amazing turn-of-the-century buildings mixed with modern architecture. There’s the famous Willis Tower (though it will always be the Sears Tower to me), the Chicago Building, the Tribune Tower, the Hancock Tower, and the old Water Tower, one of the few buildings to survive the great fire. The infamous Loop is a great way to see old buildings in the Chicago Style. For those looking for something more relaxing and entertaining, there’s Navy Pier by Lake Michigan, which has shops, restaurants, museums, exhibition halls and auditoriums, and a Ferris wheel. It’s one of the most visited landmarks in the Midwest. Chicago is simply one of the best cities in the country. Here are my top suggestions for making the most out of your visit. Located right downtown, this huge park has a lot of green space, concert halls, and some serious chess players who will beat you for one dollar. The park includes the reflective Cloud Gate sculpture (“The Bean”), which reflects the Chicago skyline and makes for great photos! 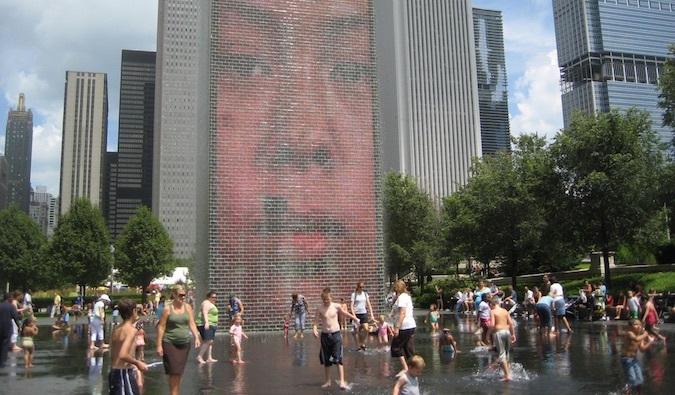 Millennium Park also has an outdoor restaurant and two tall glass sculptures that make up the Crown Fountain. The fountain’s two towers display images of local residents with water spouting from their lips. The park is active year-round and was one of the highlights of my time in the city. Next to Ireland, Chicago is the best place to be on March 17th. With a large Irish-American population, St. Patrick’s day is a celebration of Ireland’s patron saint Patrick who drove all the snakes out of Ireland. To celebrate, everyone – Irish or not – gets incredibly drunk and wears green. The city even dyes their river green, the streets are filled with tons of people, and there’s a big parade. Navy Pier is sort of like a carnival in a city. It contains some rides, a Ferris wheel, lots of restaurants, a Shakespeare theater, boat tours, an oddly large number of beer gardens, and even miniature golf. It’s a great place for both adults and kids alike, and no visit to Chicago is complete with a stroll through here! 600 E Grand Ave, 1-800 595-7437, navypier.org. Open daily from 10am, with closing hours varied through the year. The pier is also closed on Thanksgiving and Christmas. There is no admission fee to enter Navy Pier, however, attractions within Navy Pier may have admission prices. This Frank Lloyd Wright masterpiece, completed in 1909, is a premier example of his Prairie School design. Wright helped make Chicago architecture famous and this house is one of his best-known buildings. It’s one of the most famous buildings in all the city and should not be missed. Don’t miss his other houses too! 5757 S Woodlawn Ave, 1-312-994-4000, flwright.org/visit/robiehouse. Open: Thursday-Monday from 10:30am-3pm. Tickets are $18 for adults with discounts for students, seniors, military, and children available. Be sure to book in advance. Shedd is one of my favorite aquariums in the world, holding more than 32,000 different species and giving you an intense and detailed look at all the fish in the oceans. The tanks are massive and there’s a lot of educational displaces on animal care, environments, and interpretation. Don’t miss it! 1200 S Lake Shore Drive, 1-312-939-2438, sheddaquarium.org. Open daily from 9am-5pm (6pm on the weekends and in the summer). Tickets are $39.95 for adults and $29.95 for children under 11. Locals are fanatical about their baseball team. Get in the spirit and head out to a game. It gets really intense when the Cubs play Chicago’s other team, the White Sox. Ticket prices vary. If you don’t get a chance to get tickets, head to one of the bars near the stadium and just drink beer, eat food, and cheer with the locals. They love to turn out of towners into fans! Wrigley Field (1060 W Addison St), 1-800-843-2827, mlb.com/cubs. Check the website for the most up-to-date game dates and ticket prices. Chicago developed the deep dish pizza, as well as the stuffed crust pizza, and no trip is complete without trying at least one. The deep dish pizza was invented by Pizzeria Uno, which is now a national restaurant chain, and not the best place to get pizza these days. Many Chicagoans swear by Lou Malnati’s so eat there! Founded in 1879, The Art Institute of Chicago is home to photography, textiles, and architecture as well as a permanent collection that includes works by David Hockney, Ellsworth Kelly, and Eva Hesse. It’s one of the oldest museums in the country and has almost 300,000 items in its permanent collection. You can easily spend a few hours here! The museum is open daily from 10:30am-5pm (8pm on Thursdays). Admission is $25 for adults, with discounts available for students, seniors, and kids. Head down to the water and stretch your legs with the locals. At the south bank of the Chicago River, you can walk along the Riverwalk, which goes from Lake Shore Drive to Lake Street. It’s a great way to see the coast and enjoy some people watching. This is a powerful museum that doesn’t get the attention it deserves. the museum is home to art that was created by Vietnam war veterans and, more recently, veterans from Iraq. The museum and its art serve as a stark reminder of our overly romanticized notion of war. 4041 N Milwaukee Ave, 1-312-326-0270, nvam.org. Open Tuesday-Saturday from 10am-5pm. Admission is free. 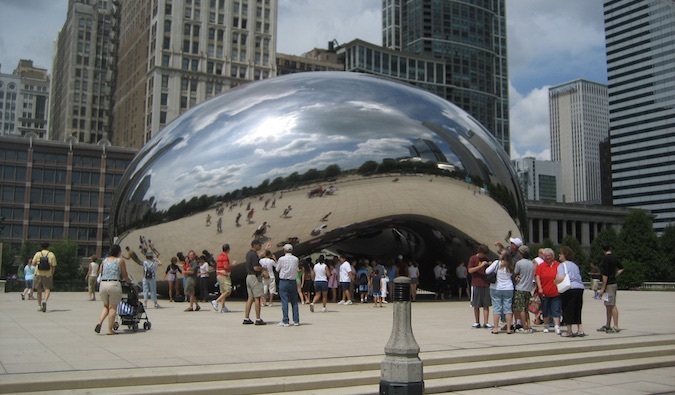 Get the Chicago City Pass – This pass gives you 50% off admission at a number of main attractions, including the Shed Aquarium, the Field Museum, 360 Chicago, and the Skydeck. 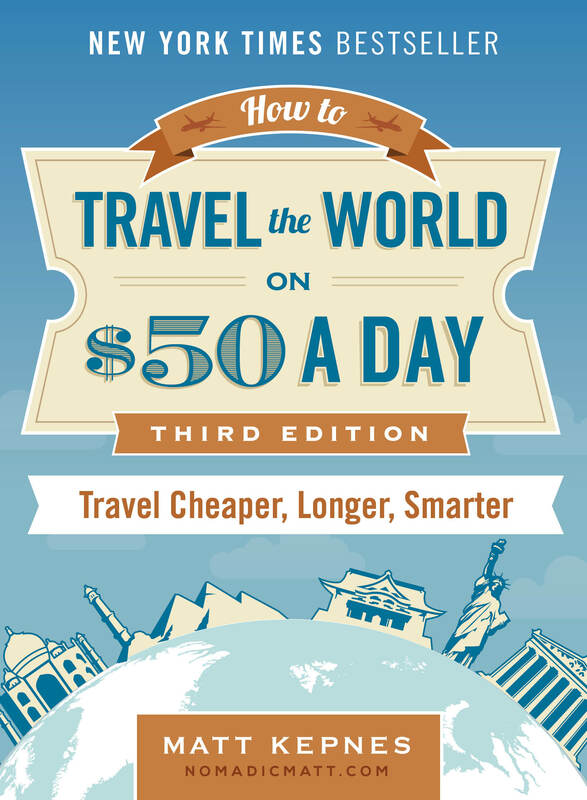 It also includes a 7-day cable car and Muni bus pass. Take a free walking tour – This is one of the best ways to learn about the history of the city while seeing all the main sites and attractions. One of my favorite tour companies is Free Chicago Walking Tours. They have a number of tours that can teach you about the history of the eclectic neighborhoods and show you all the amazing restaurants the city has to offer. Get a bus pass – A 72-hour unlimited CTA pass is only $20. If you’re going to be exploring the city for a few days, get this pass. It will be much cheaper than buying single fares or using Uber. Dress for the weather – The weather in Chicago can change quickly so always make sure you check the weather before you head out so you can dress accordingly. It can get extremely cold in the winter. Prepare for traffic – Congestion is the name of the game in Chicago, so if you’re driving or taking a taxi be sure to give yourself extra time. Some of the most congested roads in the country are here! Chicago is one of the best cities in the world, especially during the summer when the weather is nice. There is a ton of things to do here, incredible food thanks to the variety of cultures and gastronomy influences in the city, great art museums, parks, and everything in between. And, on a beautiful day, there’s also baseball or just sitting outside with a glass of wine. Don’t breeze through visiting Chicago. Stay for a while and enjoy everything this city has to offer. HI Chicago – Awesome location and really secure building. Freehand Chicago – Helpful staff with an awesome lounge/common area. This is a great place to meet people! Want More Information on Chicago? Be sure to visit our robust destination guide on Chicago for even more planning tips! I would recommend checking out all of the Frank Lloyd Wright building in Chicago. The city is home to the largest collection of homes designed by this world famous architect. Never thought of travelling to America..but everytime I read about your blogs, I am beginning to be tempted. I’ve not been to Chicago Matt but it is high on my list. For a few reasons. The deep dish pizza is up there. I love my NYC-NJ slice which is a bit thinner but deep dish style fills me up. Delightful. Die hard – and dying more these days – Knicks fan here but I’d need to visit the United Center and catch a game there. Seeing those Knicks-Bulls clashes when I was a kid, I would have to enjoy a game in that iconic arena. The Bulls are not so much the villain these days with their poor record as of late. Although as a Knicks fan I should not talk. As for the St. Pat’s Day river dye deal; I always think of the scene from The Fugitive. Iconic. I see Richard Kimball strolling down the street and folks trying to catch him. At least I hope I have the right movie LOL. Canadian here (Toronto area) heading to Chicago in 3 weeks for the 1st time.. good to see your column on Chicago updated just in time for my trip. staying in Gold Coast area.. hotel has free bicycle “rentals”. (Ambassador).. Waterfront, Navy Pier, deep dish pie, some park visits, people watching, an architectural boat tour, an improv night are all on my very loose agenda. i’ve added Frank Lloyd Wright to the list of possibilities now too.. magnificent mile of course as well, although shopping is not ever high on my travel things to do, I’m sure i’ll find a cool pub/coffee shop somewhere on the “mile”, or better yet, just off it .. 😉 really stoked for this visit.. keep up the great work ! !